Senator Joni Ernst had a busy Thanksgiving break, forwarding her national political ambitions at the expense of Iowa’s reputation. 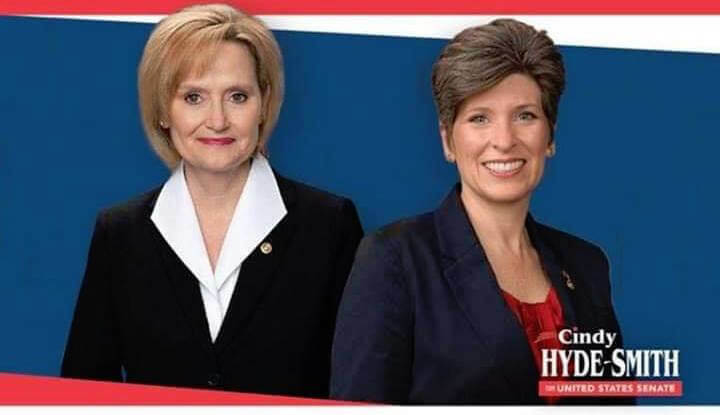 Ernst spent part of Sunday in Mississippi, campaigning with Republican Senator Cindy Hyde-Smith in the runoff race against Democrat Mike Espy. Hyde-Smith has come under significant scrutiny in the final weeks of her campaign over recent comments where she said she’d attend a “public hanging” if one of her political supporters asked her to. Considering her opponent is African American and that Mississippi has a long history with racism, including public hangings of black people, the remarks drew widespread outrage and condemnation. “If you thought Steve King was the only Iowa Republican who stands with the Confederacy, you’d be wrong,” the Iowa Democratic Party said in an email today about Ernst’s trip. Hyde-Smith’s comments, especially the public hanging one, caused several of her top corporate donors to withdraw their support and request their contributions be returned. Walmart, AT&T and Pfizer all cut ties with the senator. But it wasn’t enough to dissuade Joni Ernst from going out of her way to fly down to help get Hyde-Smith over the finish line. Other Republicans might simply want to take a pass on getting involved in a contest where their nominee has been mired in racial controversies. Ernst, who sang Steve King’s praises and gave him a hug the day before the election this year, didn’t seem to mind too much. 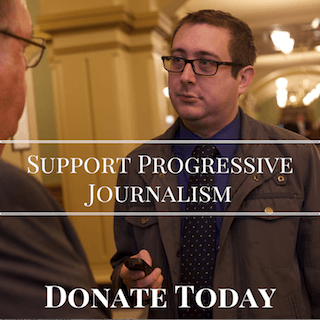 For a state like Iowa that has to constantly defend itself over King’s actions, Ernst’s needless trip to back another Republican facing outrage over racist comments sure doesn’t help our case. Ernst also spent some time on the national TV circuit. Appearing on CNN’s State of the Union with Dana Bash, Ernst was pressed on the climate change report that President Donald Trump released during the Thanksgiving holiday. Ernst responded with her usual lines that tried to frame the earth’s current climate change as a naturally-occurring phenomenon as opposed to being caused by human actions. Aside from the fact that Iowa is not a leader on air, water and soil health, Ernst once again placed herself on the extreme edge of Republicans who refuse the scientific consensus on climate change. Though she tries to frame it in a way that comes off sounding nice, what her answer really means is that she has no interest in any substantive measures to combat the causes of climate change. Iowa farmers are experiencing some of the consequences of that inaction now; one day when the situation gets incredibly dire they’ll wish Republicans like Ernst had changed their tune earlier on. It’s all part of Ernst’s continuing path to building up her stature on the national stage. Earlier this month, she won election to a top spot in Senate Republican leadership, becoming the first woman in that group in eight years. 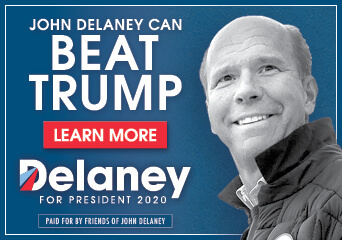 Part of that climb up the national Republican ranks seems to go along with toeing the party line on every extreme stance and campaigning for controversial candidates around the country, no matter who it is. That might be good for Ernst’s national profile, but it’s not a great look for Iowa. Ernst is up for reelection in 2020. Not only is Iowa NOT a leader in soil, water, and air health, but making that claim is such a big fat lie that it makes the claimers look like Pinocchio. Many states are doing better than Iowa, and we keep falling further behind. As just one example, several more states, including a couple of red ones, passed natural resources funding measures on Election Day. 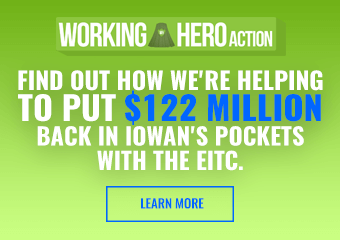 Meanwhile, Iowa’s fund, created years ago, has never gotten a single penny. That alone makes Iowa a conservation joke. In the several-state Chesapeake Bay watershed, about 60% of the rowcropped fields now have cover crops. Meanwhile, Iowa has yet to reach 5%. Minnesota requires farmers to protect creeks and rivers with buffer strips, Illinois has more protective hoglot rules, etc. etc. Ernst is gullible, lying, ignorant, or all three. Not sure which option makes her look worse. During the Civil War, Confederate sympathizers in Iowa were called “Copperheads” as in a snake. Obviously, Ernst does not know, or care, that almost 2,000 Iowa Civil War soldiers lost this lives fighting in Mississippi.